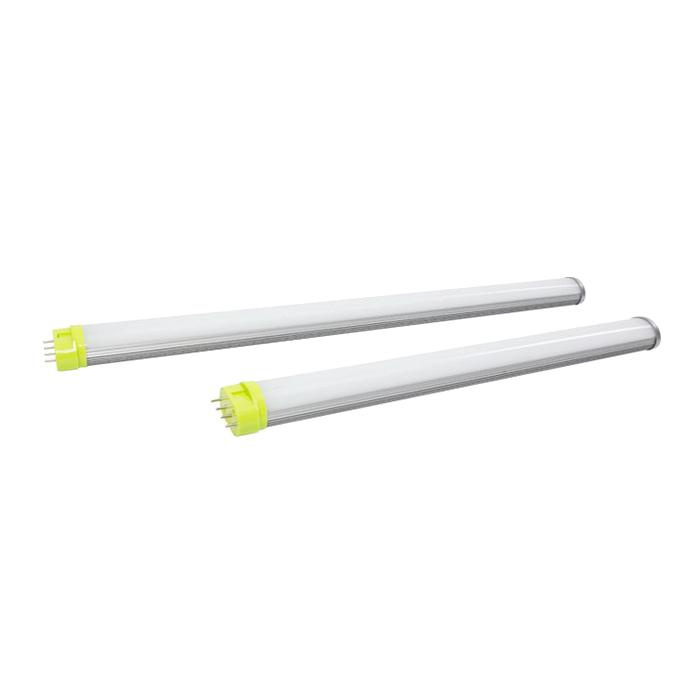 RemPhos Technologies LEDBiax® 20-Watt 2G11 4-Pin Single end LED lamp offers 2000-Lumens light output. It has color rendering index of greater than 83 and color temperature rating of 4000K to ensure optimal light level in the surrounding. It measures 22-Inch x 1.2-Inch x 1.7-Inch. Lamp has voltage rating of 120 - 277-Volt AC. It has efficacy of 100 LPW and comes with average life of greater than 100000 hours. This lamp withstands temperature rating of -30 to 45 deg C. It is ideal for wall sconces, troffers and hanging pendants. Lamp is cULus listed, FCC certified and RoHS compliant.